Hello! 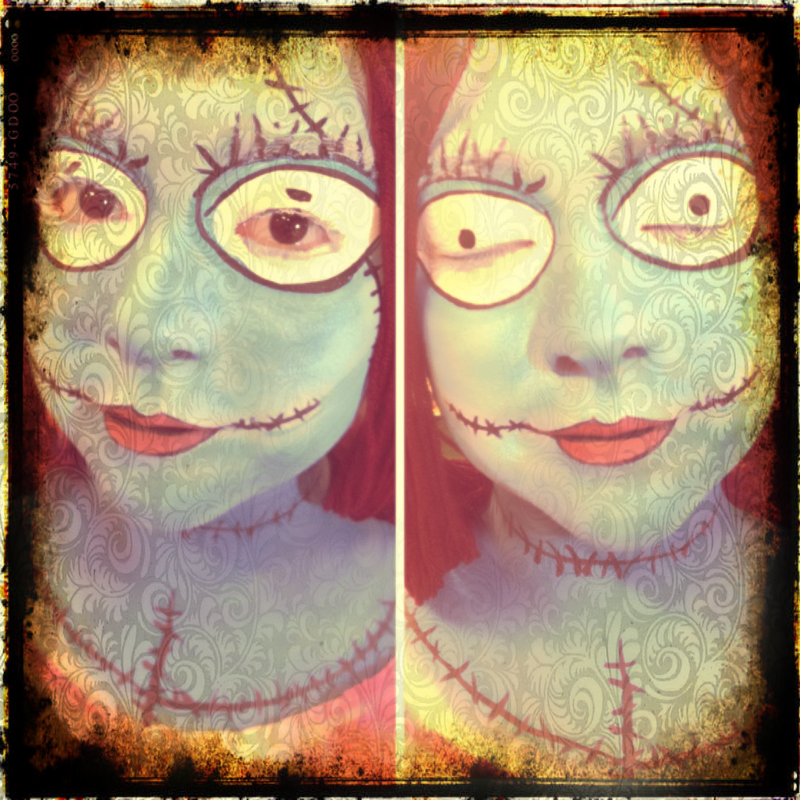 Since Halloween is just around the corner, and everyone is doing face painting tutorials….I thought I should do one! This is Sally from Nightmare Before Christmas! I love Tim Burton, and when I was little I asked my parents to paint me as the Corpse Bride. 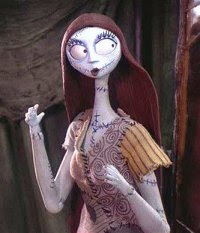 But Nightmare Before Christmas is the original TB classic, so much respect to my girl, Sally! As far as the base coat – I added a dash of green to get a teal undertone. Next I covered my whole face using a make-up wedge (you can also use a soft paintbrush), and started with the painting the eyes and lips. For the eyes, create two large white ovals that go around your eyebrows and under your eyes as well. you can paint on top of the blue, or do the white separate from the blue. Next, I had my dad help me with the eyes and eyelashes. Since I couldnt see….haha 🙂 Paint on the stitches on each end of your mouth and up the side of the face. Don’t forget the eyelashes and eyelid contouring, use a darker shade for that! 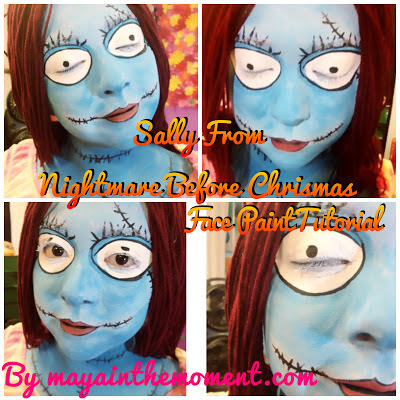 I could have left it like this, but I wanted to do something cool with my closed eyelids, so we painted dots, again like Sally! Once you’re done, paint your neck a little bit darker blue and add the stitches there too. Lastly add the last painted on stitches and you’re done!